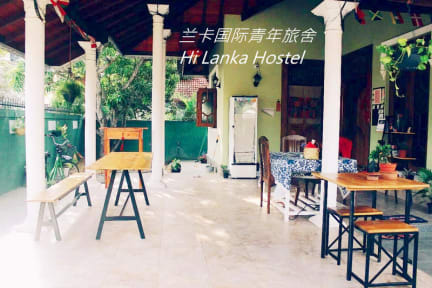 Welcome to Hi Lanka Hostel - Negombo~~ The hostel located in Negombo within walking distance from all the worth visited destination. We provide private rooms to a dorm bed for the night with shared facilities. HI Lanka hostels meet assured standards which guarantee good quality safe accommodation at affordable prices. We aim to serve as a warmly home for travelers and enjoyable place to meet friends around the world and start your adventure in Sri Lanka!